Catherine Constance: Baking. 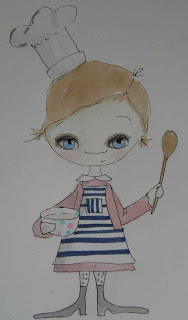 . .
cute baking girl! So sorry about the flu, it's been going around. Sorry to hear you had flu and that man flu has now crossed genders! Baker girl is super cute. Hope you feel better soon. Aaah how awful to hear that but glad you are feeling better. You need that girl to bake some buns for you to get your strenght back up! Gorgeous piece..she is so cute...i love the deep expressive eyes!! Fantastic! AW..hope you are feeling all sparkling real soon..Get Better friend! Oh no, i'm sorry you got such a yucky flu! You created an adorable girl even though you weren't feeling well! I hope you are better soon! Awww...sweet one. I've been there with you - in bed all week with bronchitis and it's been awful!! I hope you continue to get better. Sending you lots of love and hugs. Your girl as got wonderful dark eyes! Oh, I love Baking Girl, hope she does "magic" some food into your house, there is nothing worse that feeling rotten and needing to go to the grocery because you are literally out of anything that could be considered food. Deliziosa la tua piccola cuoca! Feel better! Too bad your cute baker girl can't whip you up some chicken noodle soup! Oh dear you poor soul, sounds like you need plenty of rest to get over that! Amazing you still created such a cutie, she's so sweet! Sorry that you didn't feel well, but I love your baker girl. Hopefully you can do some art and some baking next week! Thank God you 'undied' out of 'Man Flu' and whipped up baker girl out of your magic colors...now you just have to wait till the bread is baked and food is on the table! She looks like she knows exactly what a girl who is recovering from flu needs! :-) Hugs to you! she is so adorable!!!! how sweet is she!!! I love little bakers!!!! 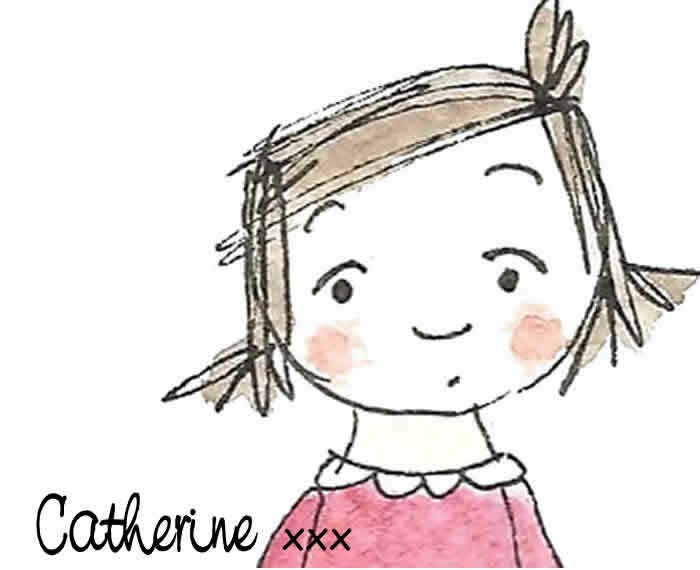 Your little girl is adorable, as usual, Catherine! Love her! I'm so glad you un-died! My goodness that would have been terrible if you hadn't! 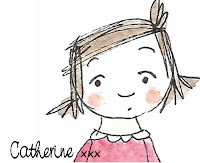 I love your little baker girl... although I fear the baked goods good have left over man-flu germs... EEk! Oh...so sorry about the flu...a truly awful way to spend the week. I am amazed that you were able to create ANYTHING in that state, yet your Baker Girl is just wonderful. Hope you made it to the grocery store! Oh !!! I understood so well and I hope you get well soon! 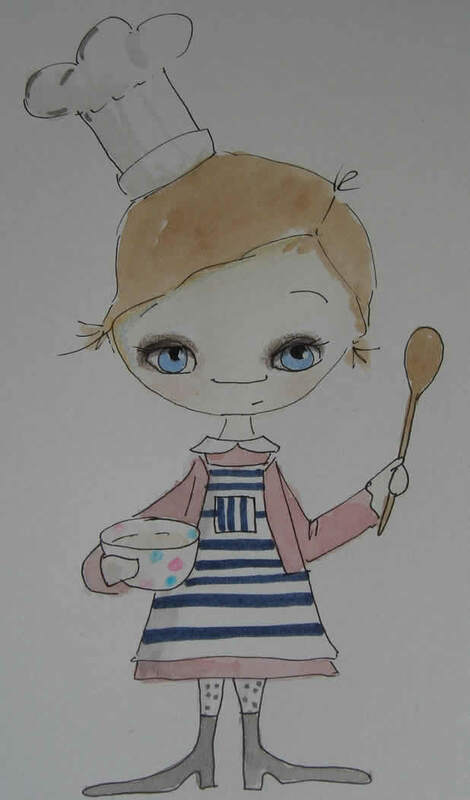 The little baker girl is so lovely and cute!